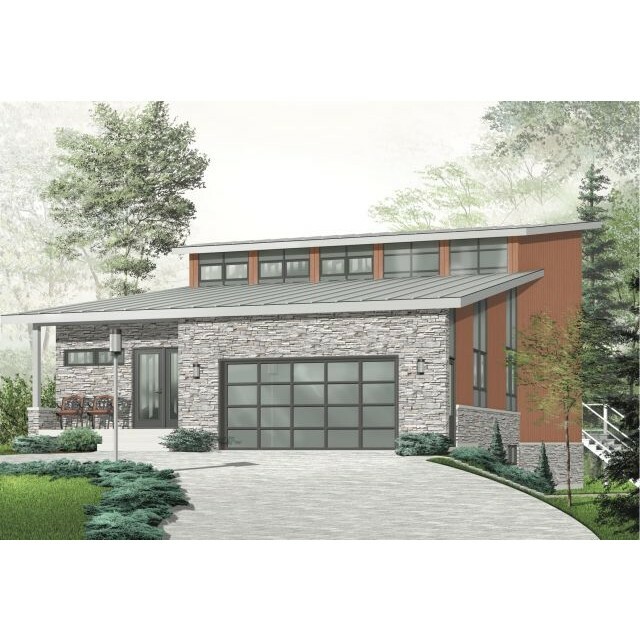 Those homeowners with an appreciation for more modern architecture and unusual features will find themselves searching our archive of contemporary house plans. Often noted for the mixture of textures and materials, contemporary homes offer interesting alternatives to traditional architecture. Without distinct design rules, contemporary architecture can be whimsical or fanciful, or can be more traditional in appearance. Large overhangs, split levels, large expanses of fixed glass, unique wood and stone facings are common to contemporary house designs. Modern features such as solar energy and skylights compliment the luxurious air created by thickly varnished wood and stainless steel. Multiple rooflines that intersect for distinctive appearance. Unique exterior finish combines wood, stone and metal. Geometric shapes and glass block are popular. Many include transom windows, lofts, modern railings and higher ceilings. 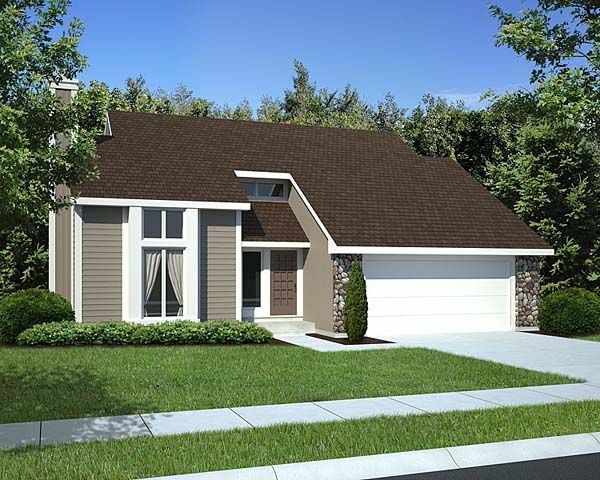 Click here to search our Contemporary House Plans! Not quite what you're looking for? Use our Advanced Search to find just your dream home!